The difference between law and sausage is that it doesn't pay to look too closely at how either's made but sausage is edible. As for law . . .
Well, I've been mulling a review I read the other day in the New York Review of Books on Chicago's own Richard Posner, federal appellate judge, prolific author and essayist, and one of the most influential legal theorists in the nation. He's a man who likes to make waves. However, the reviewer, law professor Jeremy Waldron of NYU and Oxford, has a serious problem with Posner's latest, Reflections on Judging (Harvard University Press). Your average American—not to mention your average judge, especially during confirmation hearings—would say that "the judge's job is to keep faith with enacted statutes and the Constitution and also with whatever precedents have been decided," Waldron writes, "whether he likes them or not, even when his private view is that the measures he is called on to administer are silly or wrong." At his own 1981 confirmation hearing, Posner pledged to be one of those judges. In fact, says Waldron, he's "rather contemptuous of this approach to judging." This approach is "formalism," a formalist in Posner's view being a judge "indifferent or nearly so to the consequences of his interpretations in the real world." When the consequences are disastrous, the formalist can say "the law made me do it." A formalist holds that it's the responsibility of the legislators who write laws to think through their consequences. Posner holds that the judge must also think through the consequences, and furthermore, that he's likely to be the first one to do so. 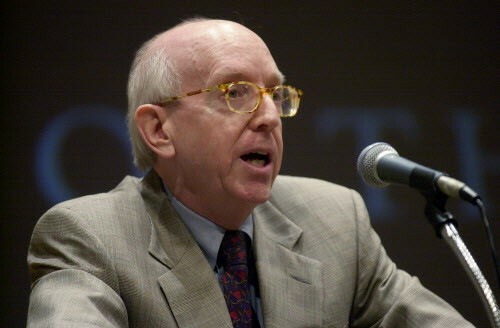 "Posner thinks our legislative processes are so inept and ill-disciplined that the resultant measures are often 'insolubly ambiguous,'" Waldron tells us; when the purpose of a law is indiscernible, then "the judge is the legislator" in Posner's view, and in judging must take into account everything the legislature should have but didn't. Waldron's problem with Posner's view of formalism isn't that it's wrong. It's that Posner's so unsympathetic to it his critique suffers from stridency and lack of nuance. "Most practitioners of formalism are just struggling to find a way, in the midst of their difficulties, to respect the limits inherent in the judicial role," Waldron believes, but Posner refuses to grant them even this much. He's made it clear in his writing over the years "that he has little or no respect for legislators or those who elect them" and believes it's wrong to think of our laws as—Waldron quoting Posner—"the product of well-meaning efforts to promote the public interest by legislators who are devoted to that interest." Of course Posner has no faith in legislators! I told myself as I finished Waldron's piece. Look where he lives! In Illinois. In Chicago. This was a new thought for me. Our judges live among us. They read the papers we read, pay the taxes we pay, find the same cast of characters on the ballot the rest of us find. If we despair at what goes on in Springfield and Washington, D.C., they twice despair. For those junkyards of broken law that legislatures are incompetent to clean up—immigration law, the tax code, pensions—get deeded over to the judiciary. In lesser societies, ambitious generals ask themselves whether the time has come to leave their barracks and save the country they serve from the civilians debasing it. In America, it's judges who can have that thought. They don't even have to leave their barracks. In America, everything sooner or later winds up in a courtroom. That's when a judge with little tolerance for fools and certain of his duty can choose to undo some of the damage. Media News Judge Richard Posner New York Review of Books Jeremy Waldron judicial formalism sabermetrics judicial activism "Reflections on Judging"